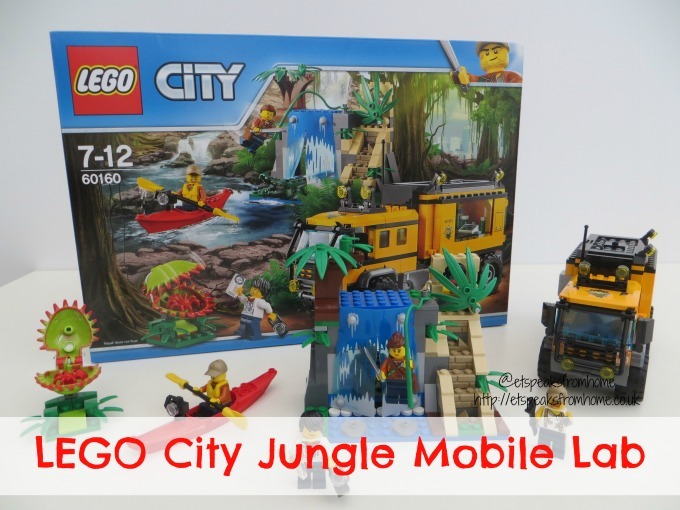 This month, LEGO City and National Geographic Kids have collaborated on a special partnership to inspire children to explore, discover and learn about jungles and the importance of their preservation. From 1st July, there will be videos following National Geographic explorer, Andres Ruzo and his LEGO companions through the Amazon to highlight jungle habitats and the importance of future conservation. To get our children inspired, we have received this Jungle Mobile Lab set #60160 to get them to learn about life in the jungle and to make the next big discovery themselves! This Mobile Lab features a truck with lab, waterfall and temple with hidden treasure, kayak, Venus flytrap plant, four minifigures, crocodile and spider figures!